How Far is Olety Landmark? Ideally located at Shankarmutt, Basaveshwaranagar in Bangalore, Olety Landmark is being constructed on 81000 Sft of land amidst a serene & quiet environment & is very close to the Shankarmutt temple. 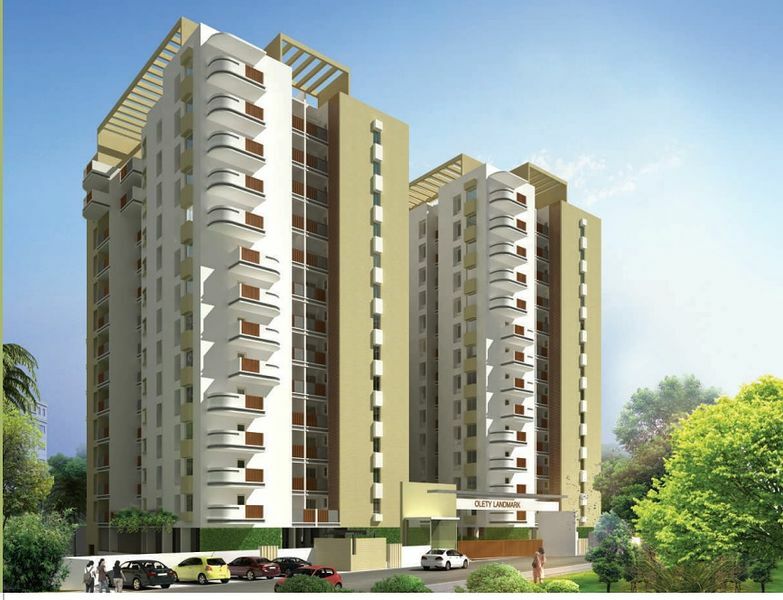 The project is comprising of four blocks with a development of 3 Lacs Sq.Ft consisting of 2BHK, 3BHK with two toilets and 3BHK with three toilets & having options of different saleable areas. Olety Landmark is the only multistoried Project in the vicinity of Basaveshwarnagar, where all the flats have open space on three sides. 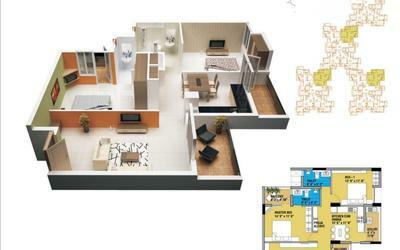 Olety Landmark will be a hallmark of life style, comfort and value for money to the discerning customer. With emphasis on greenery by ways of the many coconut trees that adorn the project, exclusive features like split level swimming pool, gym, squash court & a convention hall adds up to charm of Olety Landmark. With a high level of professionalism and precision, we intend to complete the project in 24 months and estimate date of completion is December 2015. Main Door – Teak wood frame & Teak wood panelled shutter with melamine polish. 13 passenger elevator and service lift of Schindler in each block. We have a firm belief that plans of buildings should be done in harmony with the needs, dreams and aspirations of those who inhabit them & not in isolation. Our earnest endeavour is to gain the trust of our valued customers through reliability, excellency and consistency. Our sole mission has been to make our projects a medium of realization of the cherished dreams of our valued customers & not just building up of concrete structures. With a wide presence, our projects cover many facets of real estate be it residential, commercial and industrial projects. We strongly believe in professional management driven by technology, right ideas, innovation & actions, which results in the desired growth.